Please join us for our Spring Open House, Next Thursday, March 14th from 6-8pm. The evening will begin in the Black Box Theater at 6pm. Parents and guardians will then have the opportunity to go through their student's Semester II schedule. 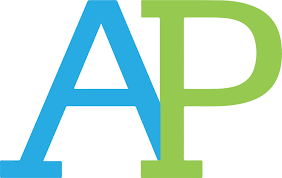 From 7:30 - 8pm parents and guardians will have the option to visit with individual departments to meet our teachers and to ask questions about curriculum, classes, scheduling or other topics of interest. Please note that this event is different from the Parent Teacher conferences scheduled for March 15th. We invite you to attend both if you would like. If you would like time to sit down with teachers individually to discuss your student's progress, please use the link below to sign up for a conference of 10 minutes per teacher. Log in to www.signupgenius.com and then click the tab that says find a sign up and enter parentconferences@gdrsd.org and the code that appears. You should then see the list of teachers and can schedule your conferences. Please only sign up for one 10 minute slot per teacher. Girls Basketball Teams up For St. Jude's Children's hospital again. 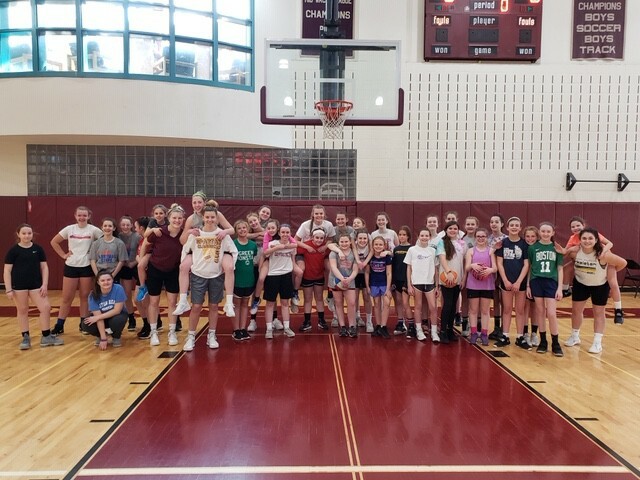 The Girls Varsity Basketball Team and Coach Hennelly hosted a fundraising clinic to raise money for St. Jude Children's Research Hospital over February vacation. Twenty five young basketball players joined our Varsity team for a two-hour clinic. The clinic was led by St. Jude Club member, Lauren Hill and the event raised $300.00 for the brave kids of St. Jude. Also, Congratulations to our Girls Basketball team who advanced to the Central Mass final after defeating Medway on Tuesday night at Clark University. Good Luck! 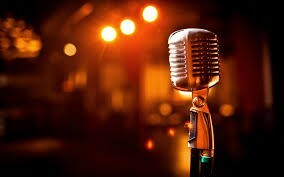 All are welcome for a fun night of singing, dancing, and performing! Refreshments will be available at intermission. A portion of the proceeds will be donated to the Seven Hills Foundation in loving memory of Steven Funch. 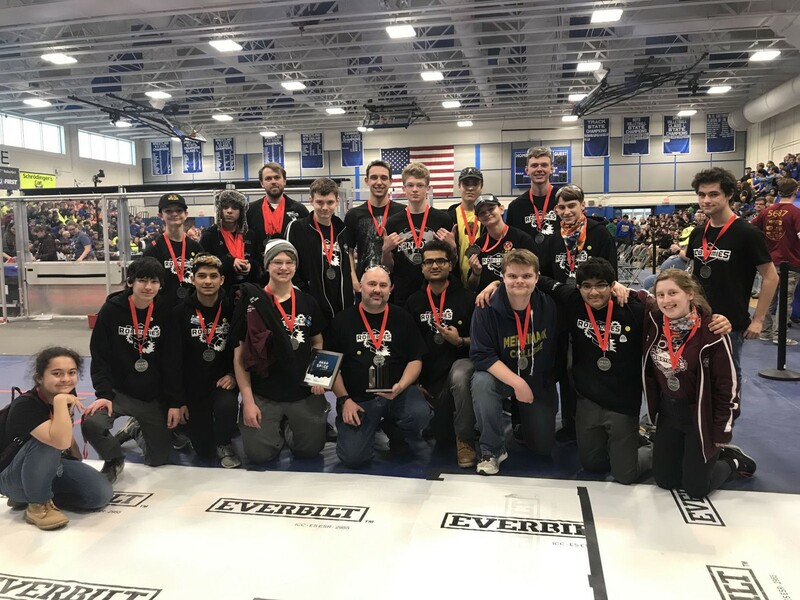 Robotomies shine in Granite State Competition! 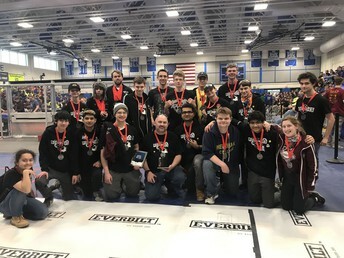 The Groton-Dunstable Regional High School FIRST Robotics team, known as “The Robotomies” is thrilled to announce that the team advanced all the way to the final matches at this past weekend’s New England Granite State Event held in Salem, NH, February 28 through March 2, finishing as part of the 2nd place alliance. After working tirelessly designing and building a robot during the six week build season, it was with mixed emotions that our team entered the competition last Thursday. Working and troubleshooting all the way up to the “stop build day” gave the team no time to finalize the build or practice with the robot. Entering the competition without fully working code or a fully completed robot was discouraging, but our members are resilient and were determined to make it all work. 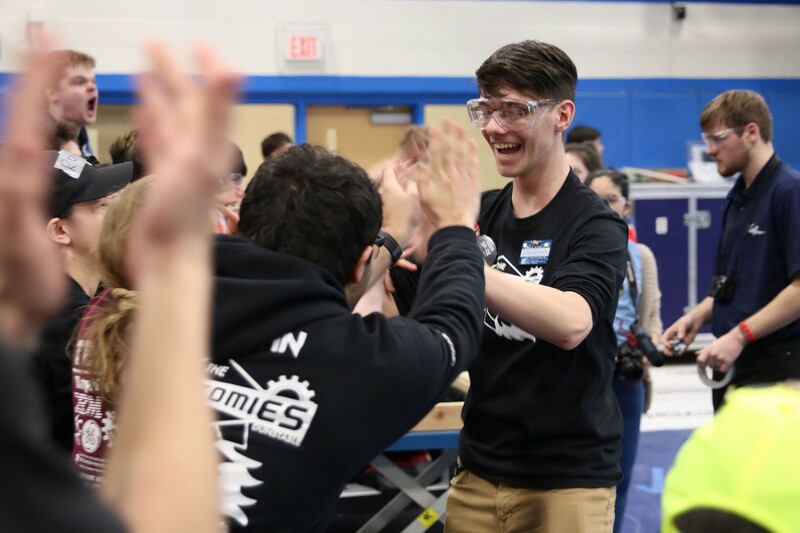 Senior Ryan Baker was drafted this year into the team to provide us with his much-needed programming skills; but with no experience programming a robot for FIRST, it was a challenge that required him to give up a full night’s sleep in order to make it all work Friday morning. Senior team leaders Max Prescott, Griffin Bjerke and Bethany de Groot, led by senior and project manager Tom Coté, managed to lead our team and get the robot fully functional in time for the matches. Early matches gave us an unexpected boost in morale as we climbed as high as 5 out of 36 teams until mechanical issues and bad luck began to slow our progress. 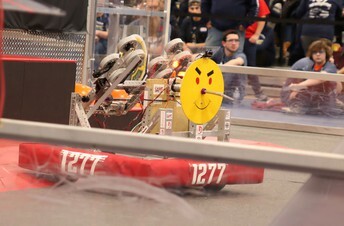 The most noteworthy challenge came when a gearbox operating one side of the robot was damaged during a match. Unable to move the robot, the students rose to the challenge by pulling the entire side of the robot apart, removed the axles and motors, repaired the issue and reassembled the robot in about an hour, missing only a single match. 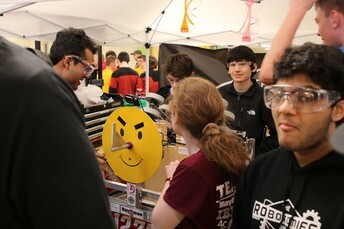 FIRST officials were stunned at how quickly and expertly the students worked together to get the robot fixed without the assistance of our adult mentors. Once repaired, and finding ourselves fallen to position 32 of 36, the students began working on an amazing comeback, rising to 23rdposition by the end of the day. On the final day of competitions, the weather-shortened match schedule only left us with two matches to continue our comeback. Although we did not raise our standing, we did manage to impress other teams enough to be selected for final round alliances. 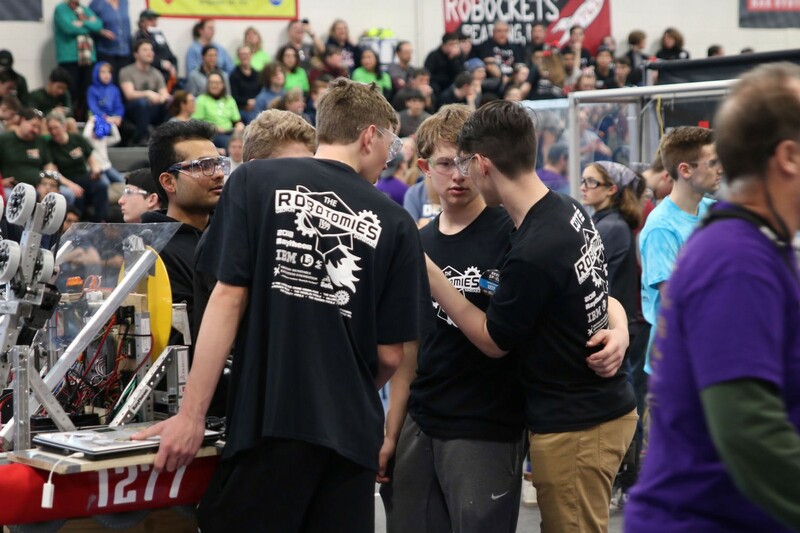 We were chosen partly because our robot had a favorably low center of gravity and large pneumatic tires that would make us an ideal robot for a defensive strategy that would complement the other two robots in the alliance. Additionally, we were chosen because our drivers were excellent, our robot was fast and maneuverable, and our lighthearted “happy face” design was altered at the end of the qualifying matches with “angry eyebrows” which “showed we had the attitude” they were looking for. 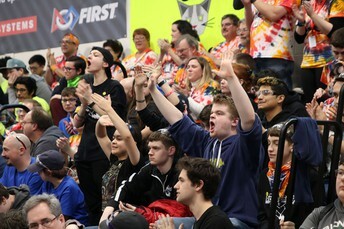 Our drive team did an amazing job supporting the other two robots in our alliance allowing us to be undefeated in the quarterfinals. Semifinals were ultimately taken in 3 matches with one ending in a tie score. Final rounds were nail-bitingly close, but ultimately we were thrilled to have gone as far as we did, taking home the 2nd place finalist trophy. Our team is somewhat unique in that we work with very limited resources, and we allow our students a great deal of autonomy in designing and building the robots each year. Our mentors support our students and provide some technical insight and safety oversight, but the design and construction is entirely student led. We are immensely proud of our students’ accomplishment this past weekend and wish them continued luck in our next competition scheduled for March 15-17 at Bedford High School in Bedford, NH. Competitions are free and open to the public. The Robotomies is made up of approximately 30 students and 10 mentors. We are fully supported by the generous donations of many of our parents and businesses including L3 Advanced Programs, IBM, Raytheon, The Groton-Dunstable Education Foundation, Society of American Military Engineers, the Justin J. Maynard Memorial STEM Innovation Scholarship, The Ted Lapres and Connie Keeran Fund, 4C Test Systems, and SolidWorks. For more information or to support our team, please contact faculty advisor Mark Rocheleau at mrocheleau@gdrsd.org. Always a great show and the proceeds benefit the music department. If you are in the market for a new mattress, come to the HS mattress sale on March 9th. All brand new Mattress every size and every style 30-50% off. March 9th at the High school. 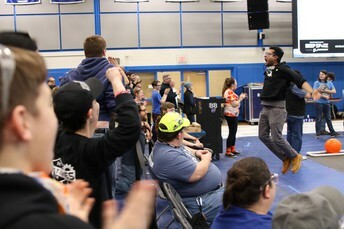 The High School Music Department receives a portion of the profits. I simply want you to know that it was pleasure to be able to officiate in your game last night and in my earlier game vs. Westboro. I realize I am plenty biased when it comes to teams that play in the MID WACH LEAGUE not on the officiating side (I hope) but on the fact that as I tell the officials who work in the league that the level of teams and competition is certainly among the highest in the State. This year again it is being proven by teams like Groton Dunstable and the others who have reached district play and the teams that continue to represent the league in the districts. I also want to briefly say how much respect your coach Greg Gillette and his staff garners throughout the officiating community for his leadership and sportsmanship with the officials. I was certainly impressed that Greg reached out following last nights game to visit us in the locker room to say that he thought we had done a good job of officiating the game. This is a very rare occurrence after a game by the losing coach and in fact even the winning coach never seems to think this is important. I also want to commend you and all your coaches but especially the "players" for their outstanding behavior and sportsmanship. Their parents should be proud to have people like you and Greg as there teachers and mentors. Good Luck to our two remaining Winter teams! Best of Luck to our Girls Basketball team and our Ice Hockey team as they compete for the Central Massachusetts Championships this weekend. Win or lose, you have all had a great season and have much to be proud of.